My favourite time of the year is creeping ever closer, yup theres only 47 sleeps until Christmas and what goes hand in hand with Christmas... chocolate! Cadbury's have so many festive treats this year, some of which are perfect stocking fillers and others... well others to treat ourselves too he he. 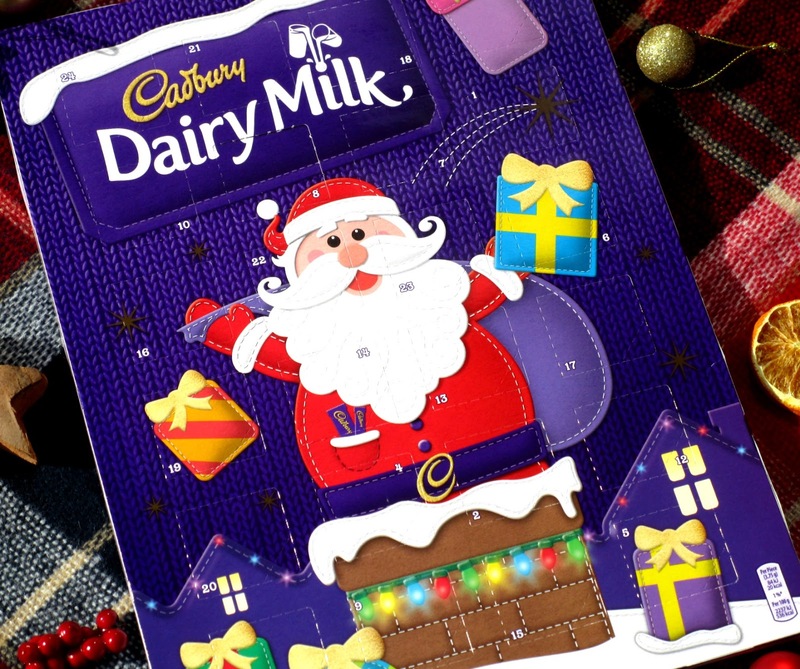 Christmas just wouldnt be Christmas without a Cadbury's Advent Calender* would it, and this one has delicious Cadbury milk chocolate advent shapes hidden behind each door! Theres no better way to count down to the most magical day of the year is there. RRP £2.19. 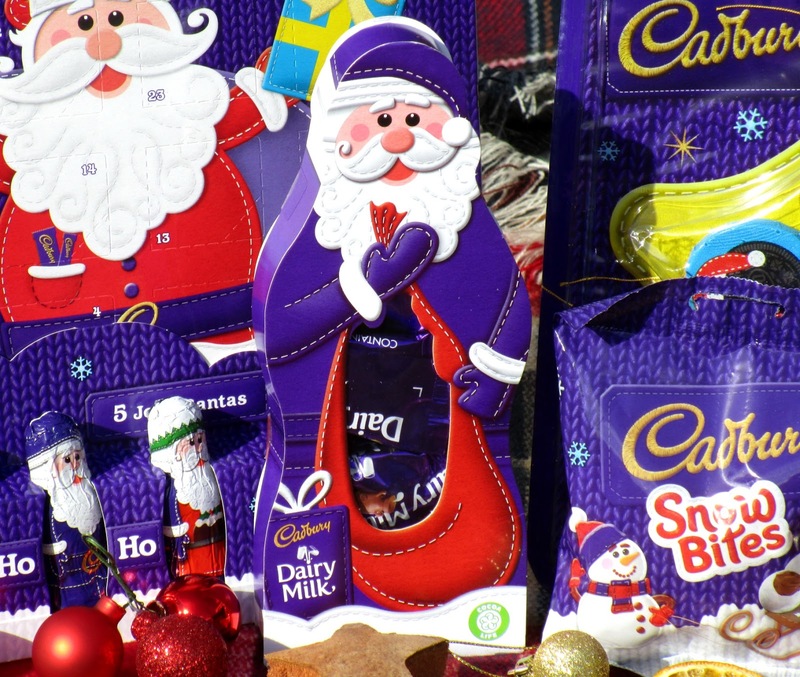 The Cadbury Dairy Milk Santa Gift Box* is filled with individually wrapped chunks of Cadbury Dairy Milk just like what you get in a tin of Miniature Heroes, this is the perfect stocking filler present or secret Santa gift, or you can treat yourself and scoff the lot whilst watching a Christmas movie which sounds like something I'd do he he. RRP £2.99. Another perfect stocking filler are these Cadbury Dairy Milk Jolly Santa's*, you get five pocket sized hollow Santa's that have been individually wrapped. I think these would be perfect to split up between kids and would work well at their place setting at the table too, you could use it as a bargaining chip so that they eat their sprouts he he. RRP £2.99. You've GOT to have Cadbury's Tree Decorations* on your tree at Christmas, theres nothing nicer than just walking past your Christmas Tree and getting a sweet chocolaty treat is their. 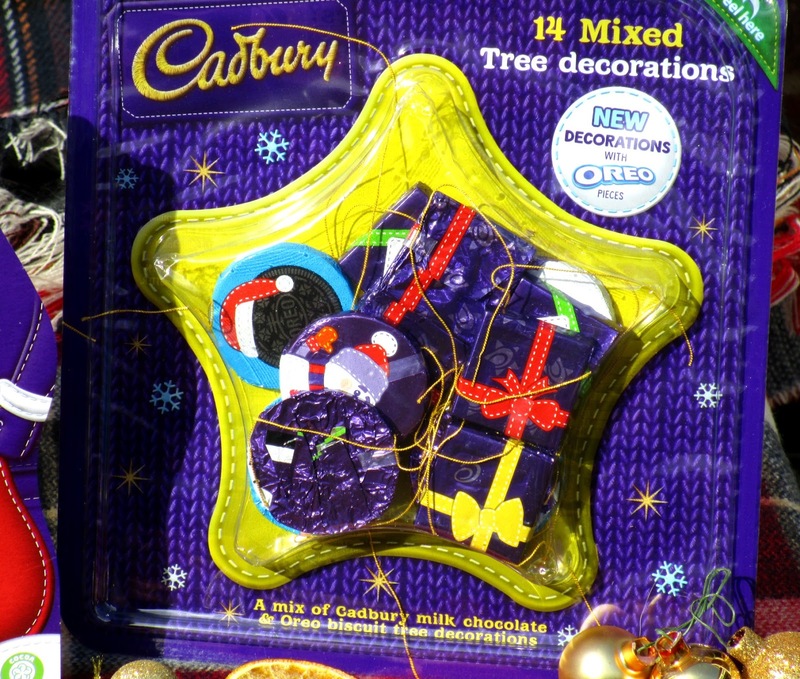 This pack contains 14 mixed Cadbury Dairy Milk and caramel chocolate tree decorations some of which have Oreo pieces within them too, yummy! 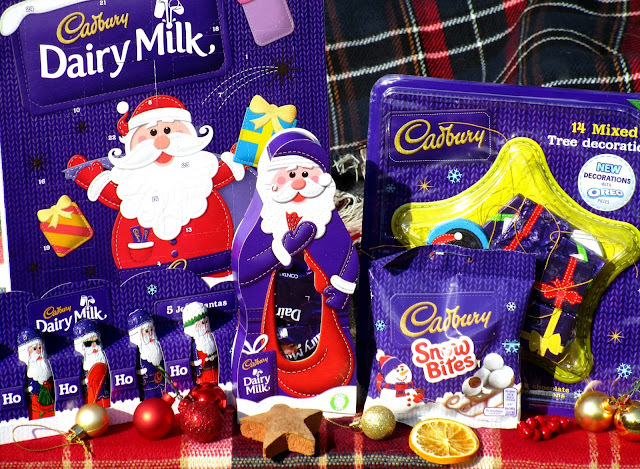 You can find all the Cadbury's Christmas Collection HERE. 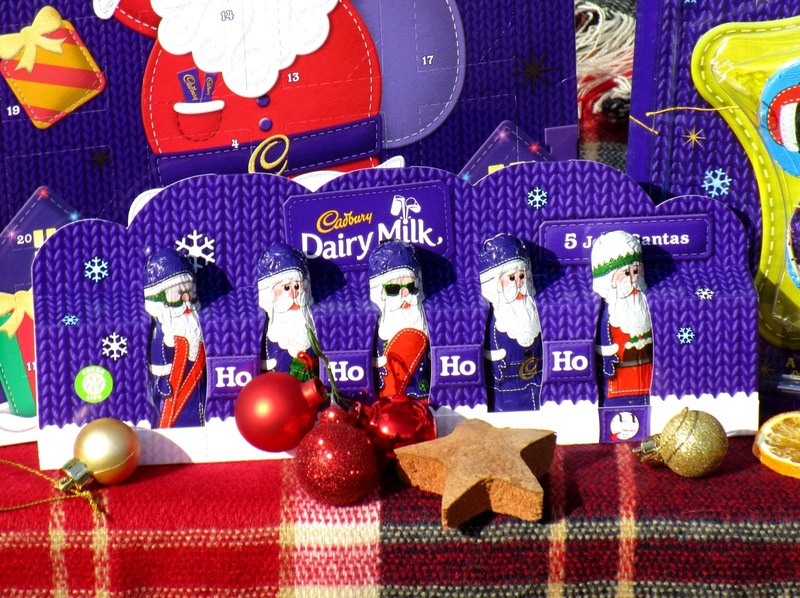 I always have to have a cadbury advent calendar! Its just not christmas without one and the little shapes are so cute! Crabtree & Evelyn Christmas Gift's Reviewed! 30 Christmas Blog Post Ideas! Glam Stocking Fillers For Her! Cute Affordable Christmas Gifts with Mad Beauty! TV Picks For A Cosy Night In!